It is unclear if Collins can remove his name from the ballot at this stage in the race, and he previously vowed to continue his run after being charged. 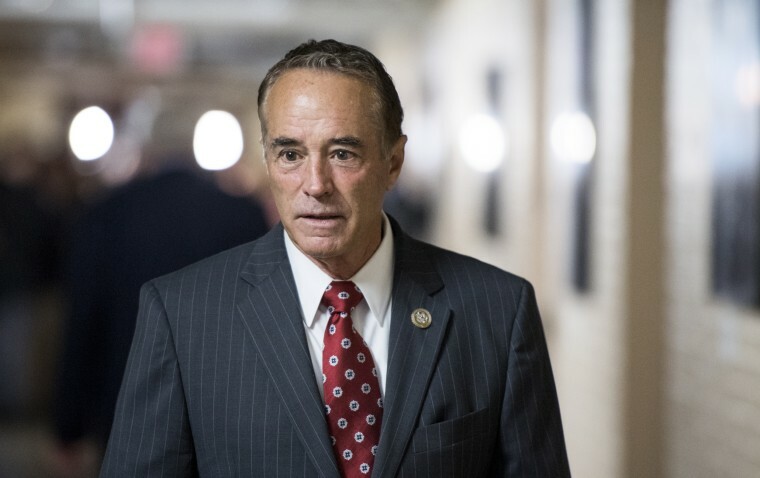 Rep. Chris Collins, R-N.Y., announced on Saturday that he would not actively run for re-election, reversing course days after being charged for insider trading and lying to the FBI. The congressman, who represents New York’s 27th Congressional District, had previously vowed to remain on the ballot for his November re-election race. It is unclear if he would be able to remove his name from the ballot this late in the race. Collins said he would not resign his post immediately, as some Democrats have called for, but would instead finish his term. He added in his statement that Democrats "would like nothing more than to elect an 'Impeach Trump' Democrat in this District, which is something that neither our country or my party can afford." What remains unclear is whether Collins intends to remove his name from the ballot and have it replaced by another New York Republican, and it seems unlikely that Collins would be able to be do so this late in the race. In New York state, there are only three ways for a candidate's name to be removed: death, disqualification or declination. The first does not apply, and disqualification only includes things like residency and age requirements — but it would not include criminal convictions. At this point, Collins would only face disqualification if he chose to move out of New York state. Declination is the path that would most easily apply in this situation, but most of the deadlines allowing for that option have passed. One of the remaining loopholes would be for the New York Republican State Committee to nominate Collins for a state public office. If he accepted that nomination, he could decline having his name on the November ballot for Congress. That would be difficult, however, as most of the filing deadlines for state positions have also passed. Collin's office and the New York Republican State Committee did not immediately respond to a request for comment. “It’s absolutely true that Chris Collins should not be running for this or any other seat, a fact that the local Republican Party knew full well when they endorsed and celebrated him while he was under investigation for securities fraud,” Nate McMurray, the Democratic congressional candidate for the seat, said in a statement. “The same machine that relentlessly attacked me for daring to question Mr. Collins’ record is attempting to get rid of him while gaming the system in order to hold on to a seat they can no longer win,” McMurray added. “New Yorkers and Americans are sick of this kind of charade and they are right to be." Meanwhile, the case that prosecutors are building against Collins involves Innate Immunotherapeutics, a small North Melbourne-based pharmaceutical company, where the congressman served on the board for three years until 2017. He remains one of its biggest shareholders with a nearly 17 percent ownership stake.